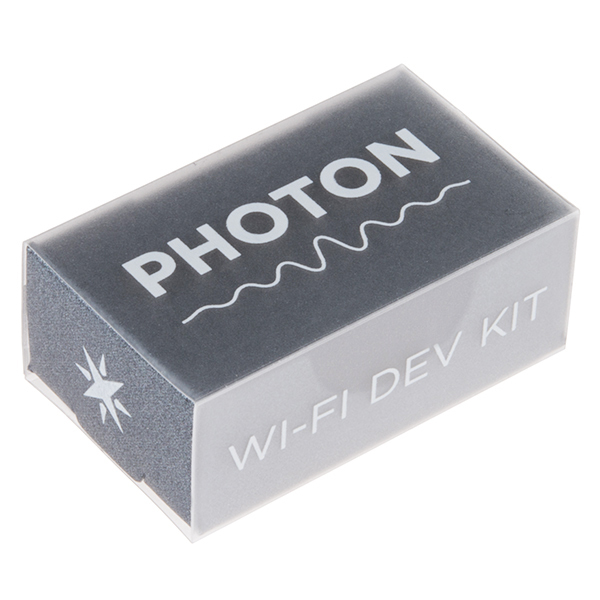 Particle’s IoT (Internet of Things) hardware development board, the Photon, provides everything you need to build a connected project. Particle has combined a powerful 120Mhz ARM Cortex M3 micro-controller with a Broadcom Wi-Fi chip in a tiny thumbnail-sized module called the PÃ˜ (P-Zero). The Photon Kit includes a Photon with headers, a shiny white mini-breadboard, a USB-micro cable, and a couple of extra surprises to help you start building right away. These specific Photons come without headers, making them best for surface mounting and special applications. The Photon is not only powerful, but easy to use. The small form factor is ideal for IoT projects with cloud-connectivity. To get you started quickly, Particle has added a rock solid 3.3VDC SMPS power supply, RF and user interface components to the PÃ˜ all on a small single-sided PCB.